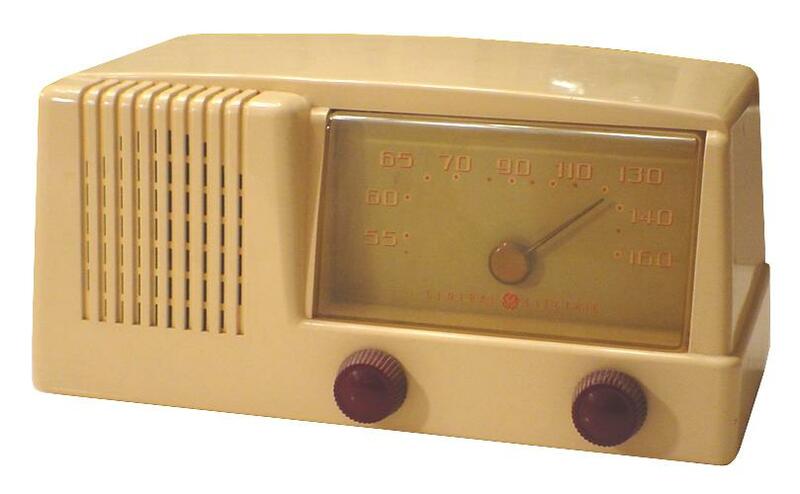 The radio that started it all! An ivory plastic General Electric 124 from 1949 that was found at a local antique store. This run-of-the-mill radio wasn't much but I had to start somewhere. The audio was originally garbled so the capacitors were replaced.